For Foreign Writers, Are Translators More Useful Than Agents? A translator is quite possibly more motivated, not to mention, accustomed to being underpaid. Today’s feature story discusses the frustrations and triumphs of a trio of recent winners of the European Union Prize for Literature in trying to interest foreign agents and publishers in their work. Traditionally, writers have relied on their agent or publisher to sell rights to their works abroad. 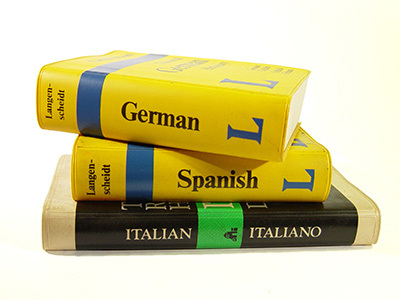 Often, the key is to get a work translated into one of the several dominant languages in publishing — English, German, Spanish or French — in order to make it into the smaller languages. But as the rights world is changing and more and more publishers are moving toward acquiring world rights to books (which itself suggests an even greater dedication to the ‘hit driven’ publishing model, the effort that goes into selling foreign rights — especially for modest works of literature from smaller countries — might not pay off. And, yes, there are agents out there who will commit to this type of painstaking work — but they, like everyone are increasingly under pressure to deliver bestsellers. So, if you’re a writer from a small nation, whose language is not widely spoken, finding a good translator who can pitch your book directly to a publisher is likely a better bet than working with an agent. The translator is quite possibly more motivated, passionate and dedicated to the project (not to mention accustomed to being underpaid) than an agent, and will more than likely has just as strong a personal relationship with the publisher likely to put out a book with remote commercial potential. Of course, if you’re working in a small language, working with a translator might be equally as difficult as working with an agent, in so far as the translator is only capable of taking on a limited amount of work and you, the writer, will be competing with all the other writers in the language for the translator’s attention.